Before Eskom decommissions coal-fired power stations, it must have adequate social plans in place to support communities depending on the power stations to drive their economies, an official from the power utility has said. Speaking during a panel discussion at S&P's Global Annual South Africa Conference in Cape Town on Thursday, Eskom's head of climate change and sustainable development Mandy Rambharos spoke about the power utility's plans for a sustainable future. As Eskom plans to transition to a low-carbon future, it has to consider the impact this will have on rural communities, she said. "We [Eskom] have acknowledged and realise that a change in landscape from an energy perspective, social perspective and community perspective is important for survival. There's no doubt we have to transition, as a company and a country. 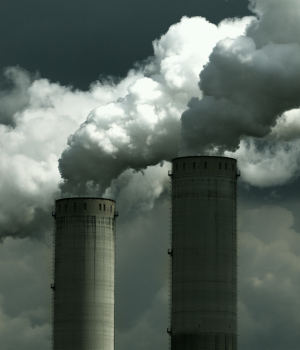 "We must transition from a coal to a low carbon future," Rambharos said. However, there must be a supportive policy and regulatory framework, she explained. The decommissioning of coal-fired power stations must be done in a sustainable way, she added. "We must be clear about the timing and the phasing. When we transition away from coal, we need to have good social plans in place and good rehabilitation plans in place. "It is very easy to say, 'decommission coal plants', but the question is what to replace them with and how to replace [them] quickly… It is less easy to say that when you go to the power stations and the communities," Rambharos said. "It is easy to sit at Megawatt Park and come up with strategy but when you are actually at the coalface, and actually talk to the communities and tell them you plan to shut down power stations in two years - how do you face that? That is the difficult part," she said. Although Eskom agrees with the transition, it cannot happen overnight, she said. READ: Markets get ready for Ramaphoria 2.0, but what will Cyril do with all that power? A coal power plant could employ up to 800 people, and Eskom must consider how to retrain people and move them to different areas. "For every single person there are five people depending on them," she stressed. Rambharos said the country must have a common vision for the future. Problems should be solved holistically, with policy alignment - in her view, this has been a problem in the past. SA needs to develop a plan for many issues facing the economy, the environment, the energy and social space, she said. "We need a national pulling together."